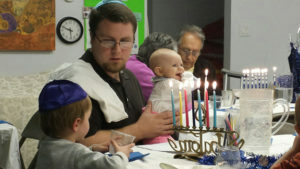 Hanukah at Ohr Shalom is a child-based event and is always well attended. We fry latkes on site, have a potluck and the Hebrew School children prepare a Hanukah program of songs and skits for us. 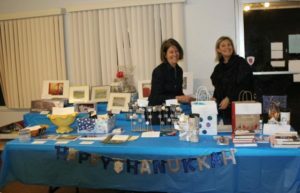 In 2017, we hosted a tzedakah night where we prepared cards and letters for people serving in the U.S. military and prepared journals for children being served by our local domestic violence shelter.